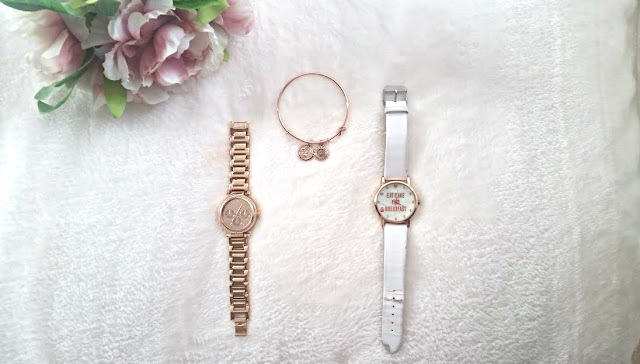 Simple jewellery is fast becoming my favourite thing to wear and its the perfect thing to quickly put on in the morning and run out the door. Recently, I've been reaching for three things and nothing else because they look great mixed together and on their own. Little accessories and bits you add to any outfit ,really makes a difference to your whole look. It adds something different and new. 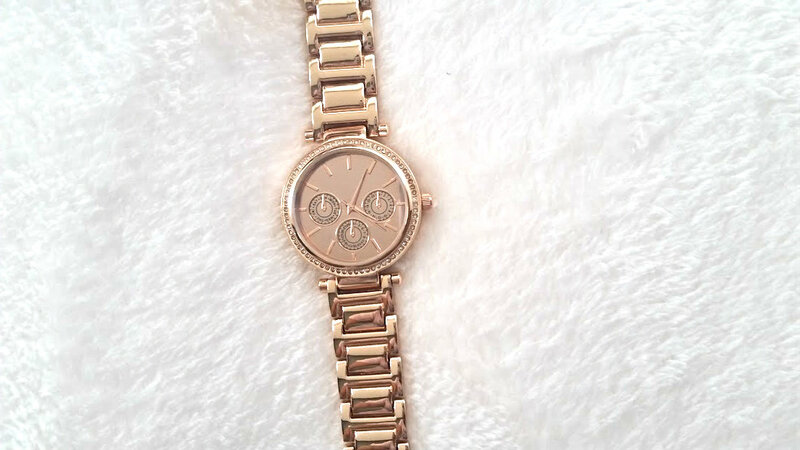 One thing I haven't been leaving the house without is this rose gold watch from Avon. Would you believe it, that this stunner is from Avon and cost only £12! An absolute steal and looks so expensive. It has three dials inside but for the life within me, can't figure out how to set them! Rose gold watches have become a big trend in the fashion world because of the elegance and expensive look. One day, I want to upgrade from this to a high end watch. Xupes makes this a whole lot easier to own these luxurious items, they specialise in pre-owned jewellery, handbags and watches. Upon browsing the website I stumbled across their second hand Rolex's. A brand that has really set a name for themselves and built a reputation. I've always had my eye on the datejust collection, its traditional and simple. One of them has a pink dial and silver strap - all the heart emojis to be interested here - its just swoon worthy. This is a really old watch of mine and one I love to wear in the evenings, because of the white strap it looks really lovely. 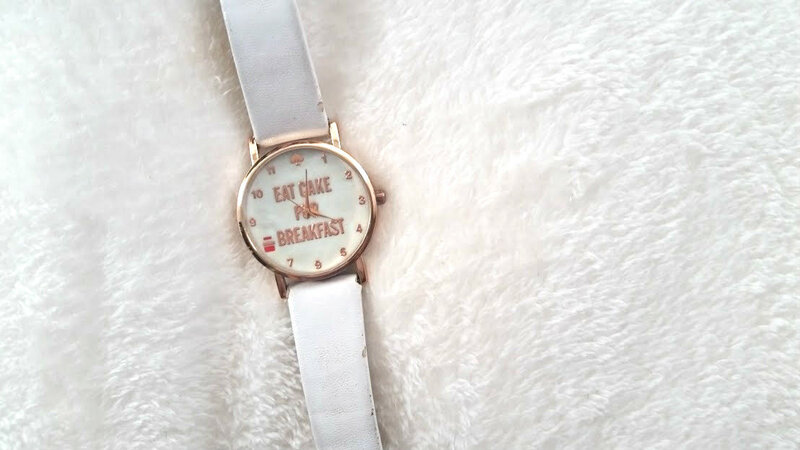 Its a Ebay dupe for the famous Kate Spade watch and I love that it costs less than £3. The white one is getting a bit worse for wear now but its holding strong, it also comes in black, beige and pink! All three are on my list for next time. The slogan in the middle is also the cutest thing and whenever people read it they look confused at first but then see the funny side and agree with it! 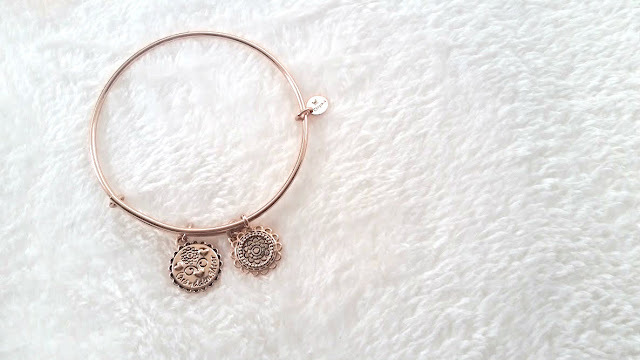 The final accessory I have wearing on my wrists is this gorgeous rose gold bracelet, there's a bit of a trend going on here if you can't tell.Rose gold just really seems to suit my skin tone and doesn't look overpowering. My grandma bought this bracelet for me recently as a gift, it says granddaughter on and is just ideal to wear all the time. I have no idea of the brand or anything and she won't tell me either! Wearing bracelets, watches and in general having arm candy is becoming a hobby! What do you wear on your wrist? !